Capturing the fun and adventure of the popular children’s novel of the same name, this Secret Garden wallpaper by Cole and Son is a charming addition to any home. The Secret Garden design brings a natural, foliage style design to your home so you can enjoy a little bit of nature on the inside. It has been designed as part of the Whimsical Collection by Cole and Son and fits in perfectly as the whole range is inspired by the classic stories and fairy tales of childhood. The Secret Garden design has a striking and vibrant appearance with a gentle elegance too. 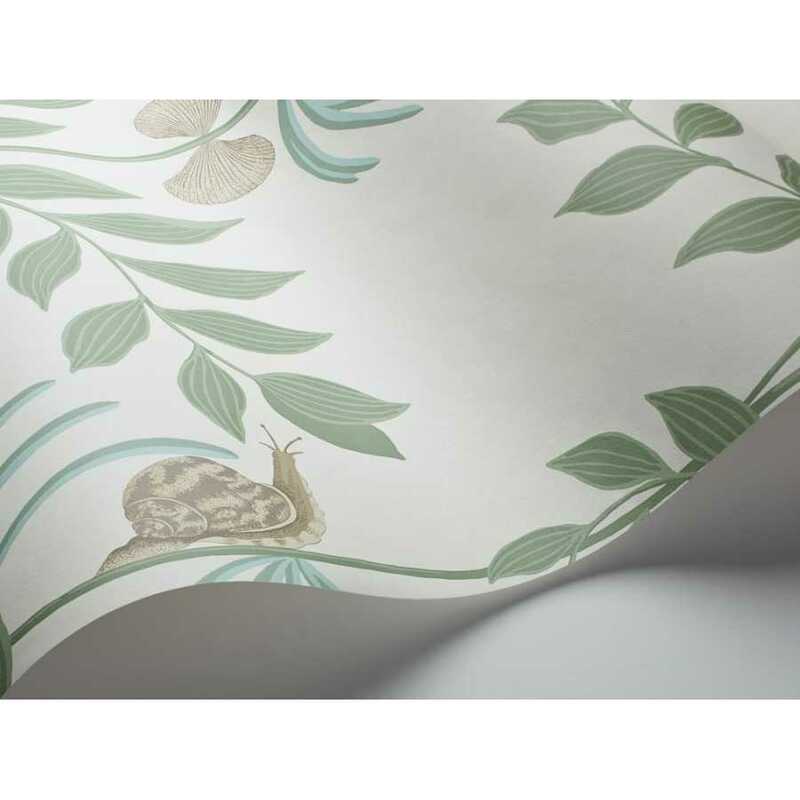 It takes a classic foliage wallpaper design and takes it to a charming and witty level, with fun twists in the form of the occasional sea shell and snail thrown into the mix of the mixture. 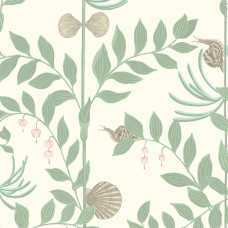 It seems to create a fusion of underwater and above water in a single naturally inspired wallpaper and in this 103/9031 colourway it is in a gentle misty sage tone. Each roll of Secret Garden wallpaper measures 52cm in width and 10 metres in length. It has a half drop pattern match and a 64cm pattern repeat.